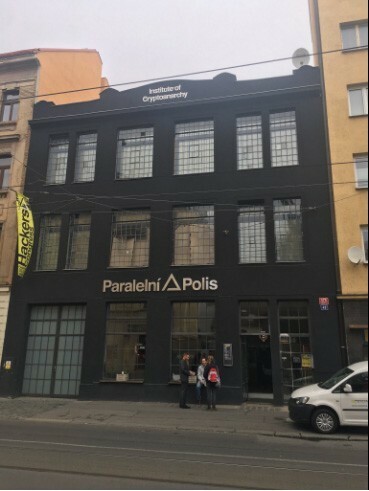 If you by any chance walked by Prague’s Paralelni Polis during 30th September or the next two days, you might have noticed rather lively commotion. 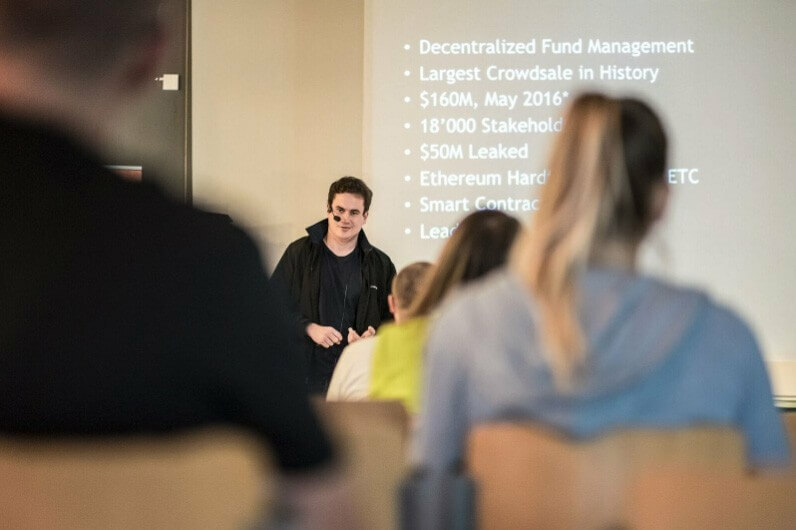 That enthusiastic crowd mainly consisted of Decentralized HCPP16 conference attendees, ready to share their ideas about freedom & crypto-anarchy, decentralized economy & crypto-currency, science, technology, politics and art. Inside the building, modern open-office spaces kept the bulk of visitors while others listened to over forty illustrious speakers in the conference rooms. Almost everybody recognized Timothy C. May, famous for his Crypto-anarchist Manifesto and well-known member of Cypherpunks. Although speaking via Skype, his summarizing lecture ’30 years of crypto-anarchy’ resulted in warm reaction. 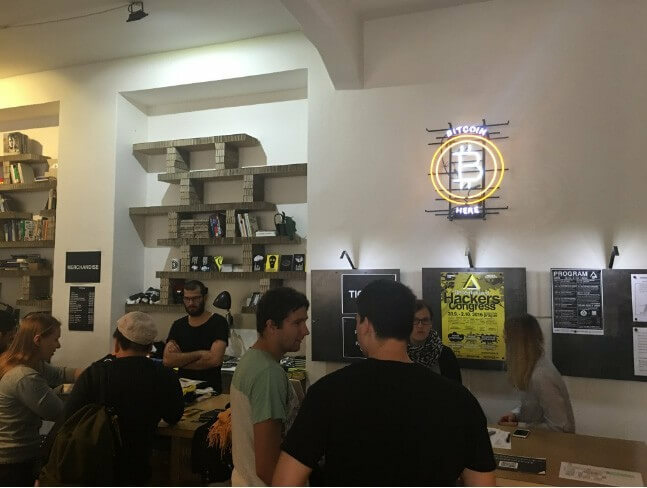 Organizers were more than enough satisfied, since ideas of Crypto-anarchist Manifesto inspired them to found Paralelni Polis. Another presenter and author of Mastering the Bitcoin and The Internet of Money, Andreas Antonopoulos shared his thoughts on the future of the money, relation to crypto-currency. Then came round for topic of rulescaping, or pan-anarchist legal protocol, presented by Smuggler, anonymous crypto-anarchist and cypherpunk member. To widen the range, Lasha Antadze introduced GovTech 4.0, Ukrainian blockchain backed government e-auction system, which is planned to be used for transparent way of selling off state’s property. Next presenter gave a lecture about unrestricted distribution of digital content without the need to pay any middlemen fees. Matej Michalko, co-founder of DECENT Network, elaborated on a success of company’s running ICO by mentioning admirable sum of more than 5400 BTC raised so far and didn’t forget to thank all supporters for an ongoing success. Program wasn’t short on accompanying events. After lectures, presenters and other attendees either joined panel discussions, or participated on countless activities and events. FashionSTL group teased the audience with 3D printed fashion show; Ultrahack came up with a hacker talent show, while drone show was carried on not far off. Lovers of movies and selfies could experience unconventional mash-up of both hobbies – Matrix-style selfie with bullet-time technology. Chill-out zone with comfortable chairs, relaxing ambient music and plenty of like-minded, energy-spent hackers and enthusiasts provided desirable comfort for power-napping, or just recharging phones, or other devices. The 3rd annual HCPP16 conference brought a well-balanced mix of famous speakers, hackers and philosophers and concurrently ongoing events. Decentralization theme certainly introduced many different and also provocative, compelling points not only crypto-anarchist, but also other crypto-fans should build on.